A career criminal wanted on weapons charges evaded police capture on Friday, fleeing in the area of a New Hampshire campground where he has reportedly been living. William "BJ" Maurier, 35, is wanted by the Hillsborough County Sheriff's Department on a felon in possession of dangerous weapon charge. A Raymond Police officer spotted a vehicle being driven by Maurier on Prescott Road around 10 a.m. Maurier refused to stop, ultimately abandoning the vehicle on Kristy Court and fleeing on foot. New Hampshire State Police, the Rockingham County Sheirff's Department, a Brentwood Police K-9 unit and other local agencies responded to assist Raymond Police with the search. After a search of the Prescott Road area and Pine Acres Campground, Maurier was not located. Police said they believe Maurier had been staying at a camp site in the campground. Maurier has an extensive criminal record. 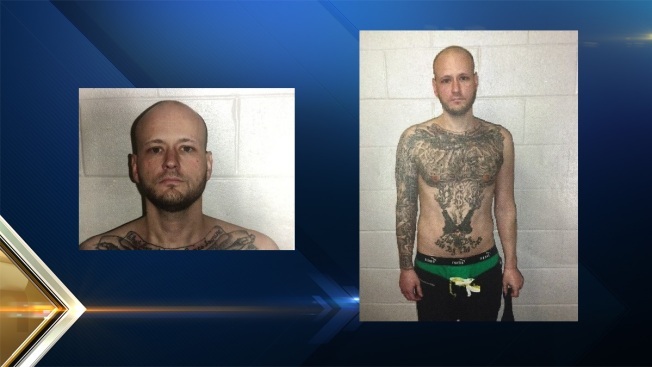 In 2011, Seacoastonline reported that he was arrested in connection with a spree of armed robberies in southern New Hampshire. He was also involved in armed standoffs with police on two separate occasions, in 2014 in Manchester and in 2015 in Londonderry. Anyone who sees Maurier or has information as to his whereabouts are asked to contact their local police department or call 911.